47 Awesome To- Dos That Should Be on Your Summer Bucket List! 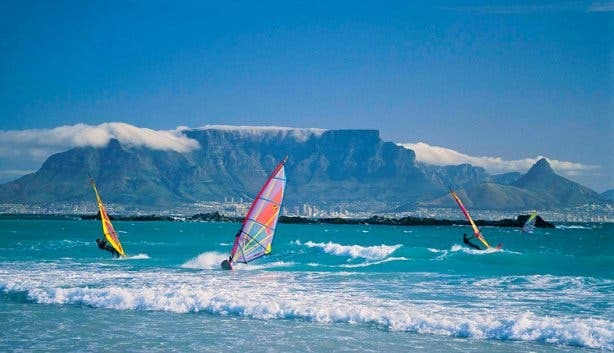 What better way to make the most of this time of year than by exploring the Mother City in all its splendour by trying out these exciting activities! 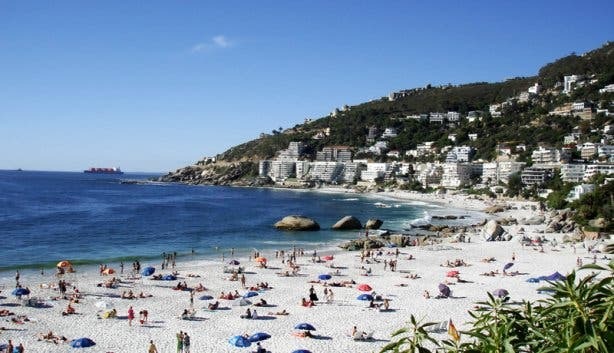 We get it; you’ve hiked up Lion’s Head at least twice by now, have exhausted the Camps Bay strip and are now hungry for new and out of the ordinary things to do in the Cape. 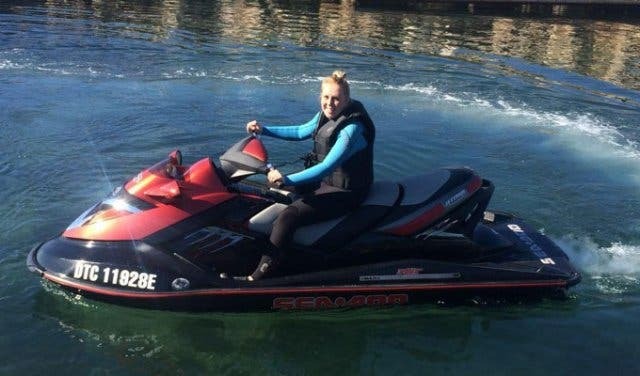 Luckily, they don’t call this place the Mother City for nothing - for in our seaside metropolis, a new activity is birthed about as often as Kim Kardashian appears on a magazine cover. So, let’s make the most of this glorious season; let’s soak in the warm and succulent rays of a sun that sets well after 7pm and allows us the time to explore the road less travelled, to try things new, and to make memories that will last a lifetime. 1. 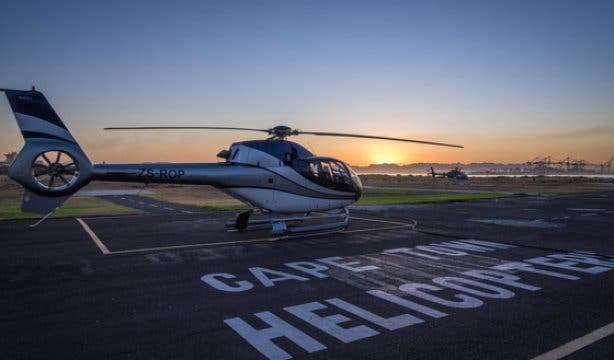 Witness the Mother City from the most Instagrammable view in Cape Town, or sweep that special someone off their feet and into the air on a VIP Winelands flight with a trip on one of the city’s top-three rated experiences, Cape Town Helicopters. Forget the ferry and see the historic Robben Island from an unsurpassed bird’s-eye view. And get the extraordinary experience for around the cost of two dinners at a restaurant with the Hopper flight. What's more, CapeTownMagazine.com readers get the Hopper flight for only R1260pp (that's a 10% discount) via this secret link. Or get a 10% discount on ALL other flights with Cape Town Helicopters. Claim yours by using our unique booking code: FlyAirbus. Plus, if you combine a Cape Town Helicopter trip with an Ocean Experience, you get 15% off. 2. 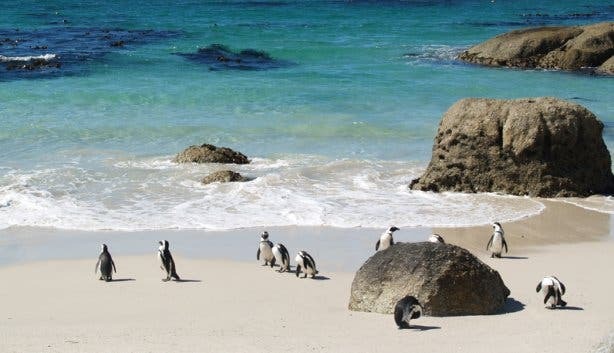 Save petrol/money and take a train to Simon’s Town to spend the day exploring the adorable town. P.S: For more than two centuries it has been an important naval base and harbour (first for the Royal Navy and now the South African Navy). 3. Love nature, but have been to Kirstenbosch more times than you can count? Then head down to nearby Stellenbosch and spend the day at Jonkershoek Nature Reserve. Order sunscreen and meds via Whatsapp. Get free delivery in the CBD. And emergency prescriptions on chronic medication in a pinch. Barr’s Pharmacy on Long Street offers excellent advice and personal service in Cape Town. And for summer, you can speak to the pharmacist directly about sunscreen and seasonal ailments and medicine. You can even have your medicine delivered for free in the CBD by Barr’s Pharmacy. And Barr’s are also specialists in travel medication in Cape Town. 4. Check out the noon gun. It’s one thing to hear it every day, but to see it live in action is definitely one for the books! P.S: The Noon Gun has an actual Twitter account that you can follow! 5. 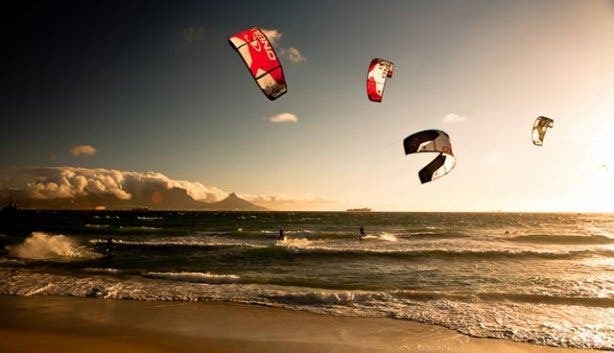 Soar off the top of Lion’s Head, Signal Hill or Sir Lowry’s Pass (depending on the weather) with tandem paragliding company Para Taxi and drift gently through the summer’s air while soaking up a bird’s-eye view of Cape Town in all her glory. 6. Try your hand at tobogganing! (If you’ve seen the movie Cool Runnings you will totally appreciate this. If you haven’t seen the movie, you will still totally appreciate it). 7. 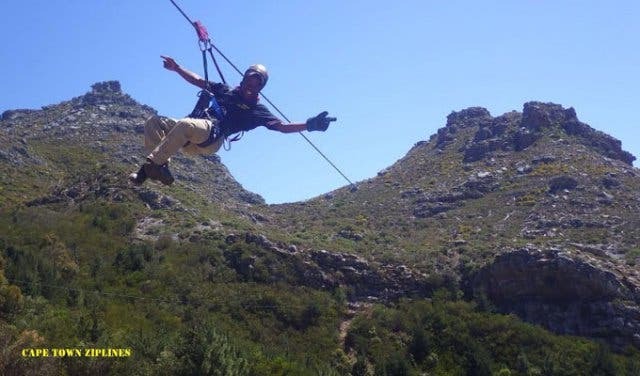 Get an adrenaline rush by trying out the new zip line at Silvermist Estate at Constantia Nek. It’s one of the longest aerial cable courses in Africa! 8. Take your love of golden ale and froth to the next level by going on a really cool beer tour! 9. 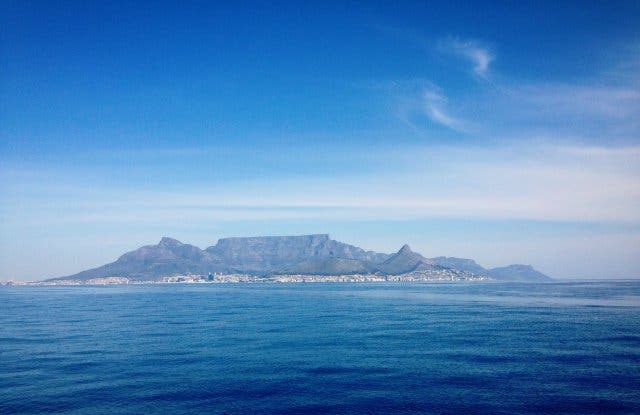 Explore the Mother City’s unique and natural underwater wonderments with Into The Blue and snorkel or scuba dive amongst the Cape’s mystic kelp forests, spectacular shipwrecks, energetic Cape fur seals and perplexing cow, blue or mako sharks. 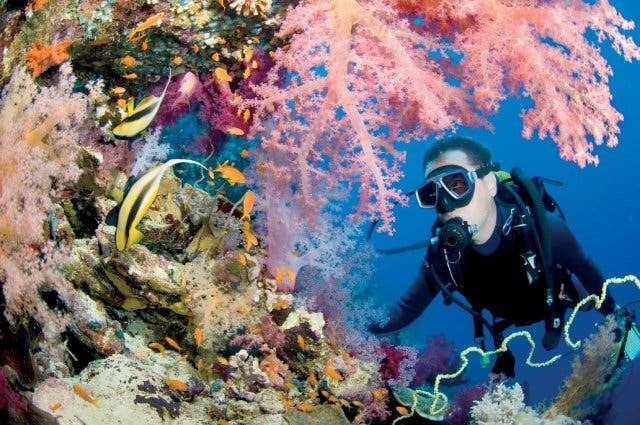 PS: Into The Blue also offers an array of PADI-certified scuba diving courses! 10. If you love cocktails then you’ll know that sometimes it’s more fun making them yourself , so try your hand at making one of these delicious cocktails. 11. If you missed the ‘get your summer body’ memo, it’s never too late; keep fit by trying the latest fitness trend, acroyoga. There is a Woodstock-based studio that can help you out. 12. If you’re an adrenaline junky then this one definitely needs to be on your bucket list. 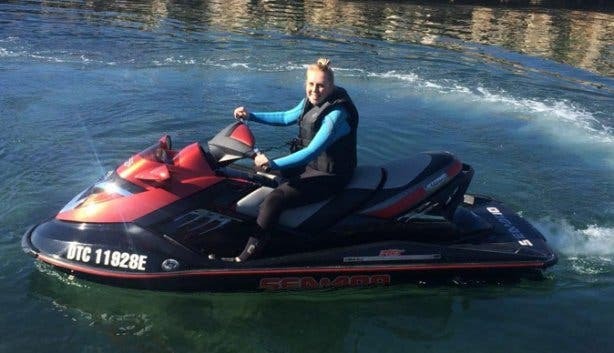 You and a friend can go jet-skiing at the V&A Waterfront with Ocean Star Sailing Academy’s two-for-one Jet Ski orientation every Tuesday! 13. Nothing says “I’m not afraid of anything” like going on a ghost tour. 14. You’ve done Cape Town walking tours, you’ve done the whole red bus tour thing, but have you tried going on a food tour in Stellenbosch?! YUM. 15. 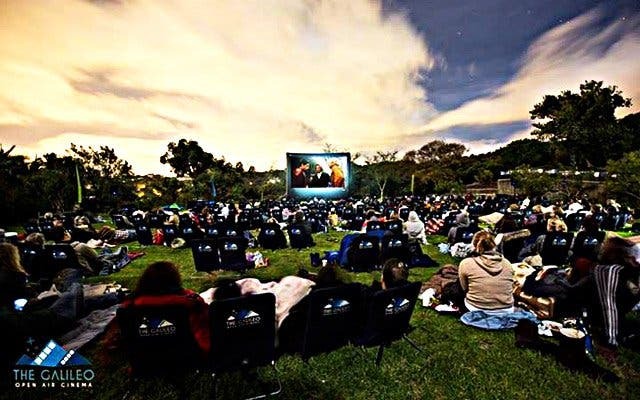 Watch at least one movie at the Galileo Open Air Cinema. You.Won’t,Regret.It. 16. If you’re in the mood for skipping the usual Mother City culinary scene, then Downtown Ramen is worth a visit. 17. Plan a mini Cape Winelands road trip. And try to go for the ‘lesser- known’ destinations like Tulbagh and Ceres. 18. Travel back to the 1800s – which is quite possible- by exploring the Western Cape in horse carriage style. 19. 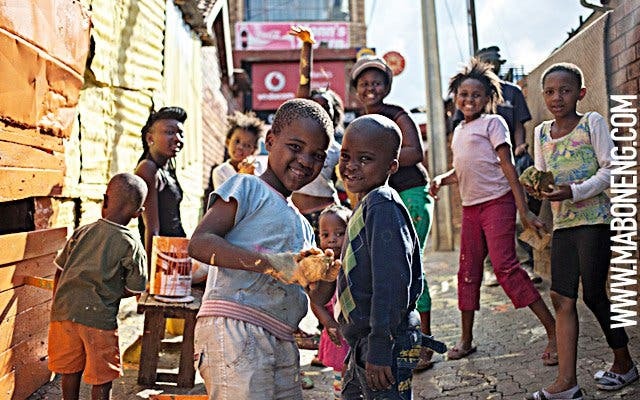 Check out stunning art from local township artists as part of the Langa Tag Gallery Tour. 20. If you have always secretly thought you would be a great spy/agent/ because of your impeccable skill of cracking codes and tasks, then hint hunt is definitely worth trying. 21. While buying a bunch of roses at the Adderley flower stand is great, you can take things to the next level by picking your own roses at the Chart Farm in Wynberg. 22. 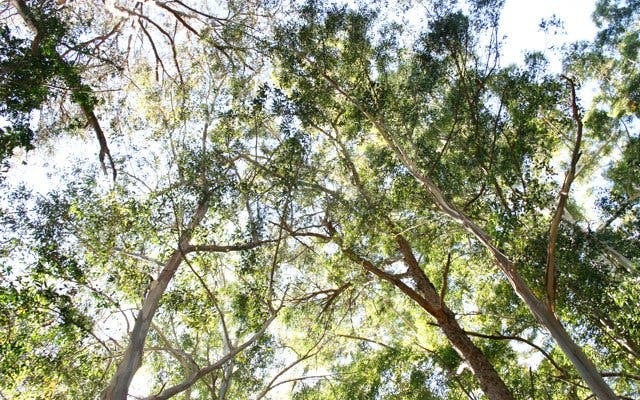 Explore the beautiful natural forest that’s hidden amidst the Southern Suburbs: Tokai Forest. 23. Get a disposable camera (yes, they still exist), take some pics and develop them. Old school cool. 24. Since Instagram is the in thing these days, why not look for a really cool instawalk in your area and snap away! 25. Buy an actual postcard (possibly with a picture of Table Mountain—duh) and send it to someone you really care about. 26. Treat your whole family to something quite special: a trip on the Atlantic rail steam train. 27. Channel your inner Steve Irwin and get up close and personal with Cape fur seals in shark-free waters. 28. That fresh new hairstyle/hair colour you’ve been thinking of getting? Do it. 29. 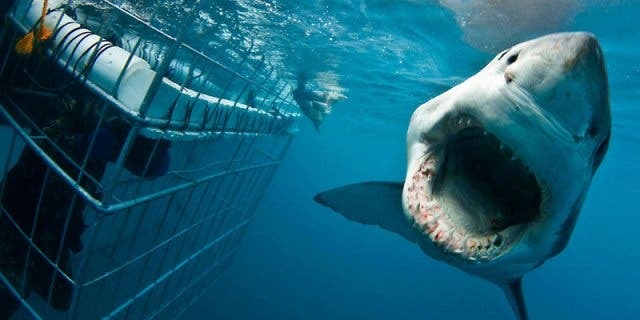 This is one of for the books: shark cage diving – in actual water – with the chance of spotting actual sharks! 31. Go to the beach and at the same time keep fit (after all the yummy Christmas treats you’ve had) by attending FREE Yoga classes at the Cape Quarter Square. 32. 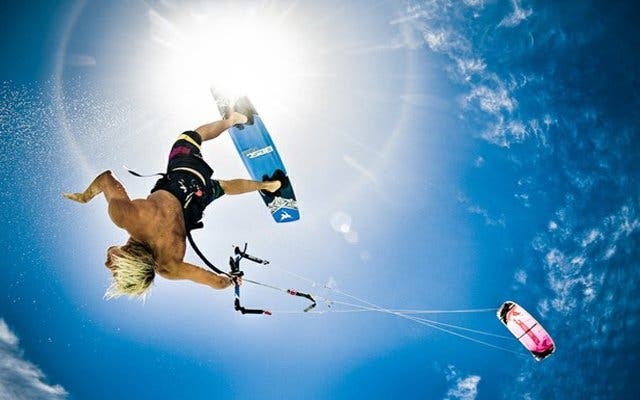 There's surfing, and then there's KITESURFING. Give it a try. 33. You’ve heard of ice cream right? Bet you’ve never tried ice-cream made from liquid nitrogen. Now is your chance to add that to your “I totally tried that” list! 34. Kids love all sorts of scary yet cool things, and a visit to the Reptile Garden at the Stodels in Bellville will definitely earn you the “World’s Best Parents” award. 35. Go to one of the best stargazing spots in South Africa: Ko-Ka Tsara Game Reserve (8km outside Beaufort West). 36. 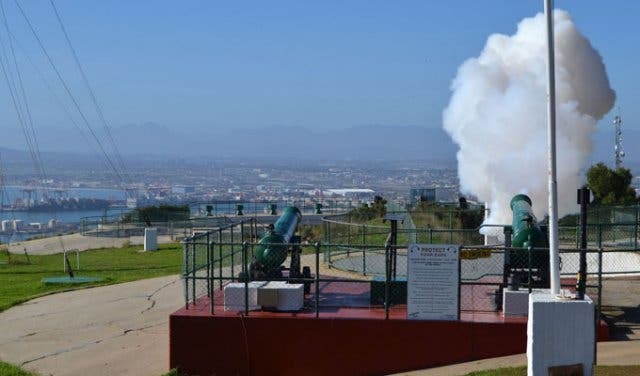 See Cape Town from a slightly different perspective from the Lookout Hill in Khayelitsha. 37. Being in the Western Cape means you have definitely been on a wine tasting tour. 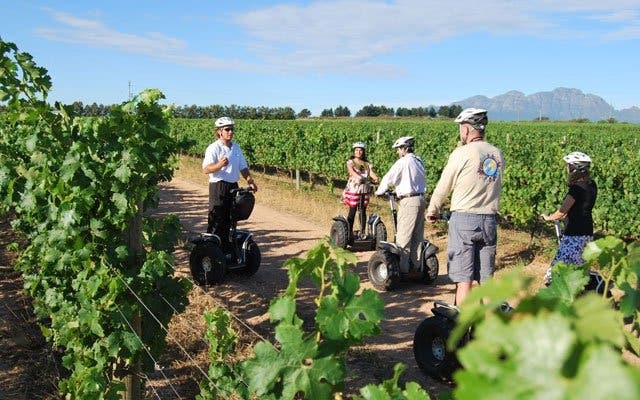 The real question to ask is this: Have you been on a Segway wine tasting tour? 38. Try your hand at picking ripe and delicious strawberries. This is a great family-friendly activity! 39. Extend your happy ‘summer’ mood over by doing your bit for the community and volunteering at your local/nearest charity or donating clothes you no longer wear. 40. Learn how to salsa. There’s an awesome studio in Claremont that can teach you some hot moves! 41. Try your hand at playing one of the oldest African instruments, the Djembe drum. 42. Take your little ones to Clay Café and have them craft all sorts of cute things. 43. Get creative in the kitchen and then invite your friends over for a “Come Dine with Me” type session. You can make it really fun and have your pals score you hosting abilities. 44. 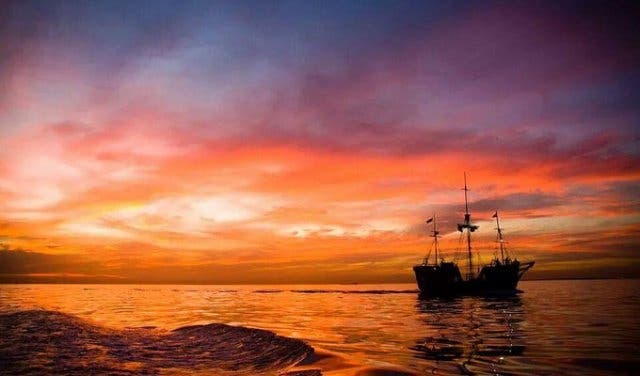 Sunset cruises are great, yet they’re even cooler when done on a pirate ship! Go to the Waterfront to enquire about this special Pirates-of-the-Caribbean-Atlantic-experience. 45. 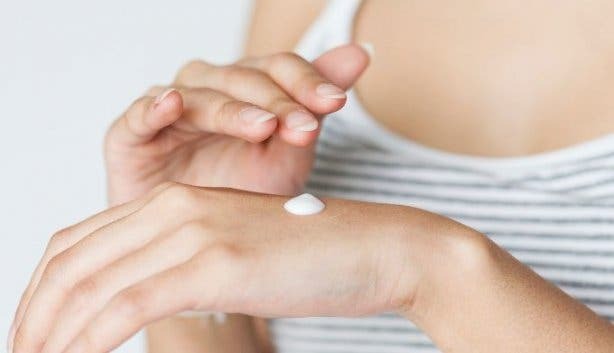 “Treat Yo Self” with all-natural treatments at Ways of Wellness. Because,YES! 46. Surprise your mates/family by trying out this really lekker snoek braai recipe. BONUS: Carpe Diem!! We are in a beautiful city, so let’s make the most of it! Tick something off your bucket, head out to Killarney and get a free Harley Davidson Ride. Kick off summer by visiting the Tesselaarsdal Annual Festival. 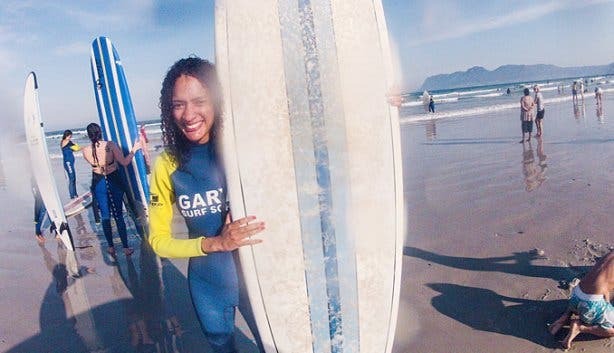 Once you've worked your way through this bucket list, begin the alternative Cape Town bucket list. For an evening of food, wine, dance, and jazz, be sure to attend the Summer Gala. If you have other cool suggestions, share them with us on Facebook, Twitter and Instagram and let’s make this summer unforgettable.